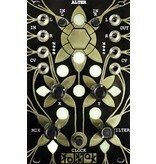 Alter is an effects processor for eurorack format. 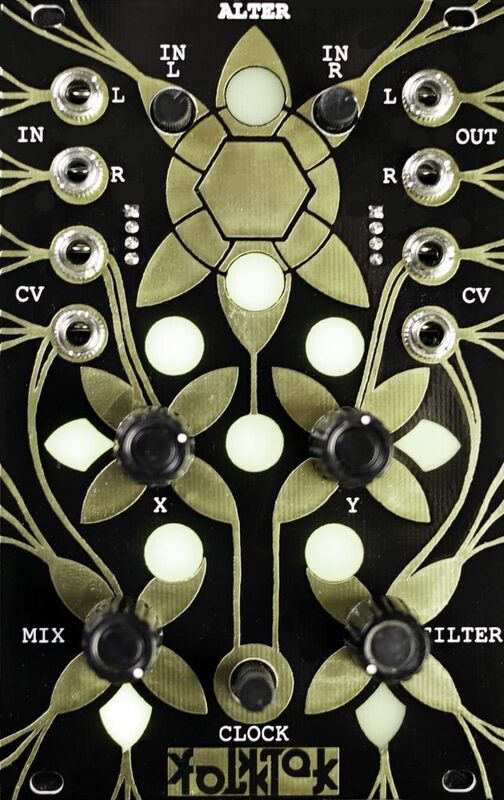 This is Alter 1, with a Gold faceplate, featuring 7 different DSP effects meticulously designed over the course of a year. • controls for mix, X, Y and filter as well as clock. • all effects have a variation of a filter which may change effect to effect. • X and Y control various rates, feedback and time over the different effects (note that some of the images shows a prototype whcih says "rate" under two of the pots. The faceplate has been changed to "X" and "Y"). 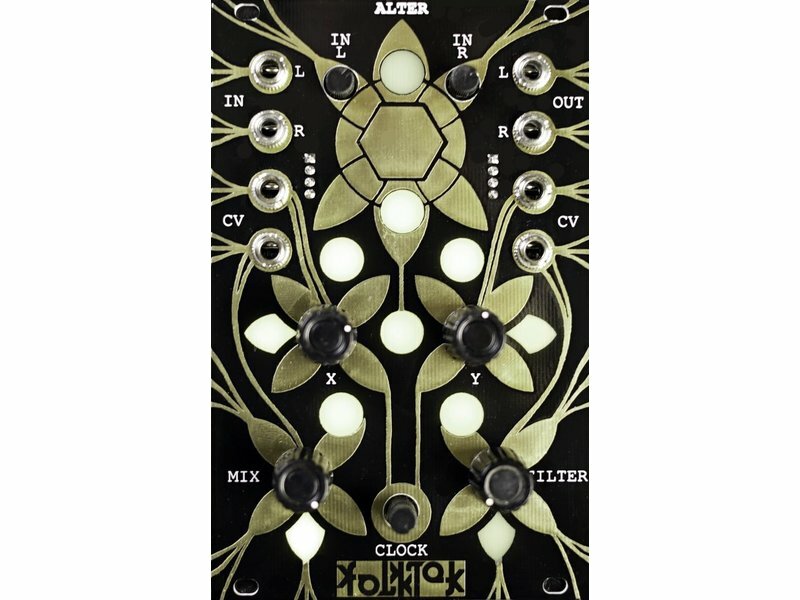 • clock control adjusts the rate which controls the DSP which can drastically change the effect. In doing so it does slightly lower the quality of the output signal but the results are fantastic. This clock is not for synchronization. • mix, X, Y and filter all have CV control inputs. • Each control level or cv input is visualized on the control panel.